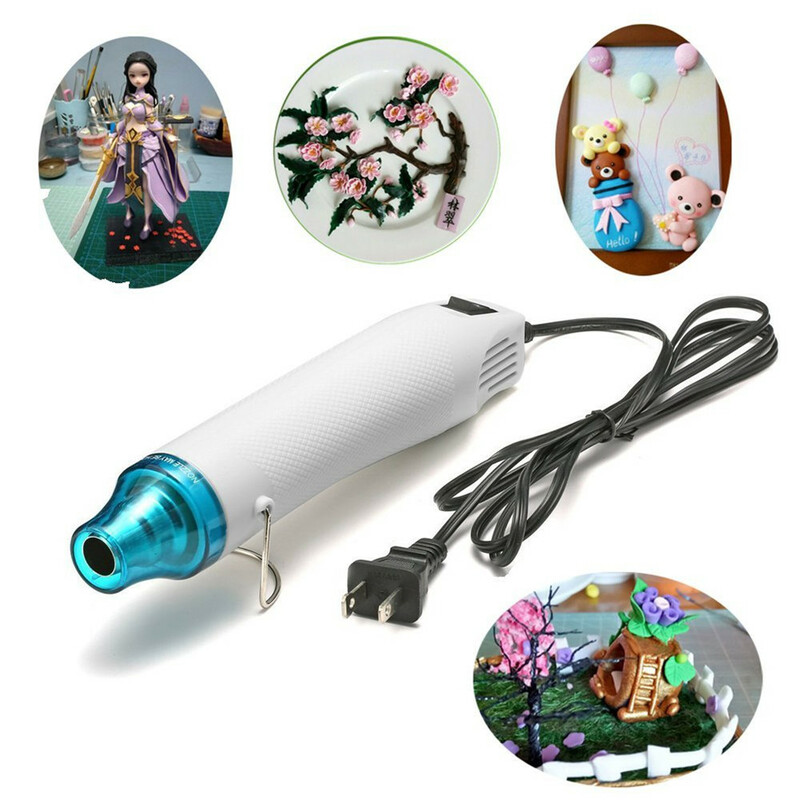 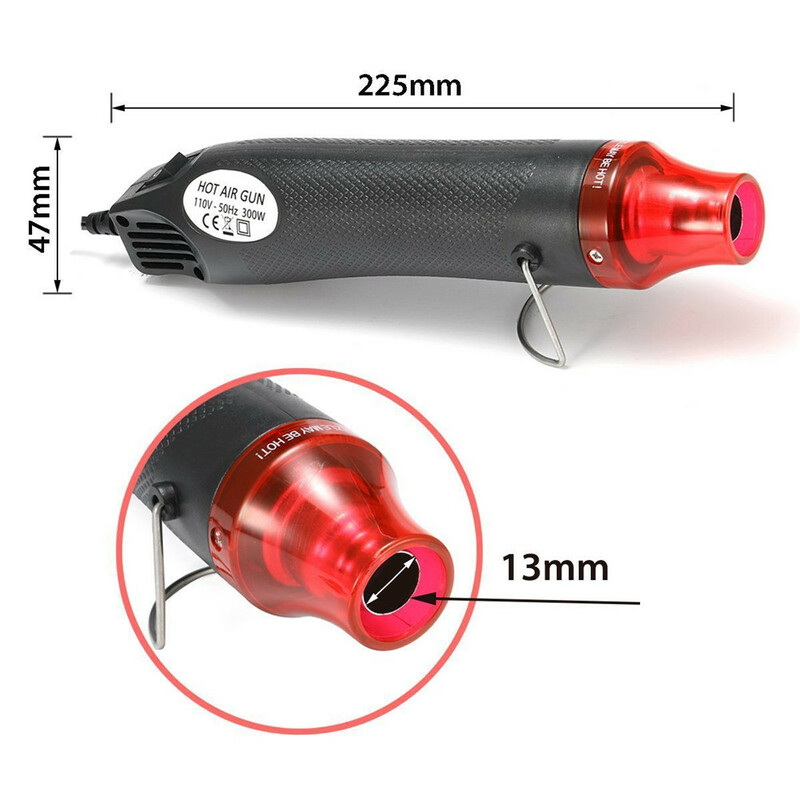 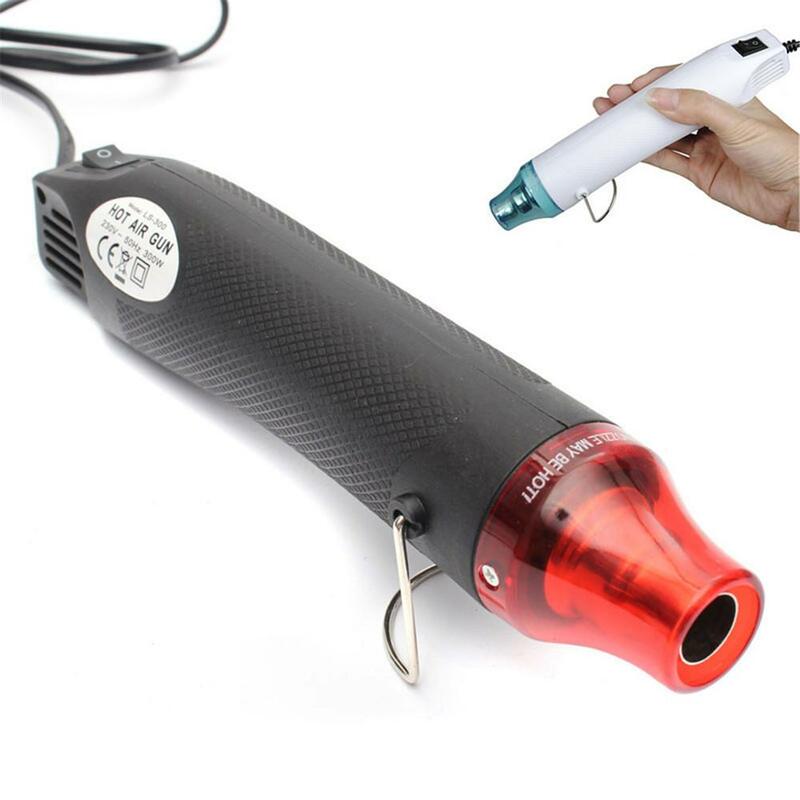 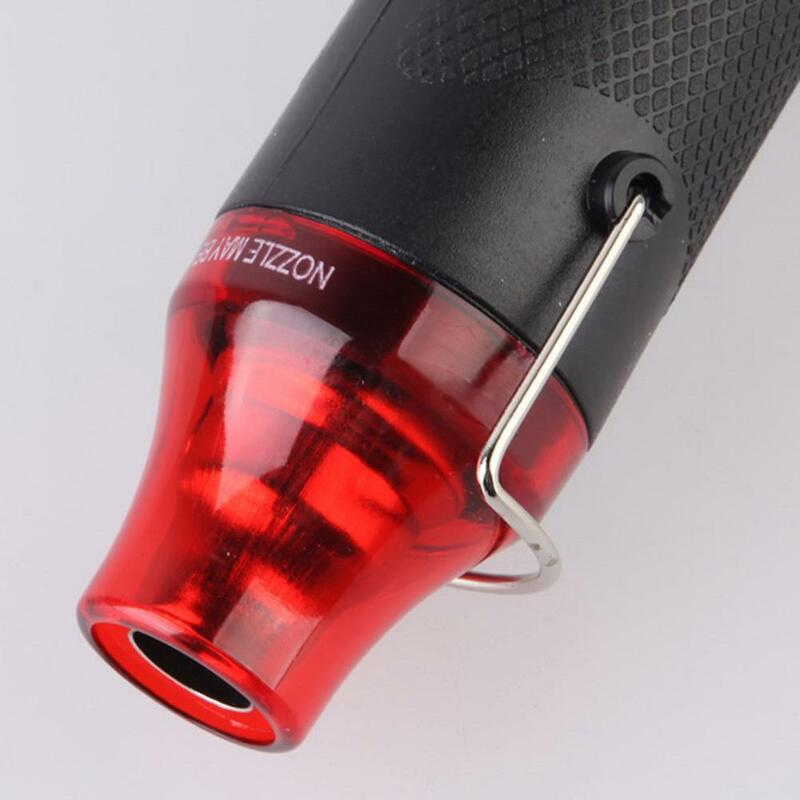 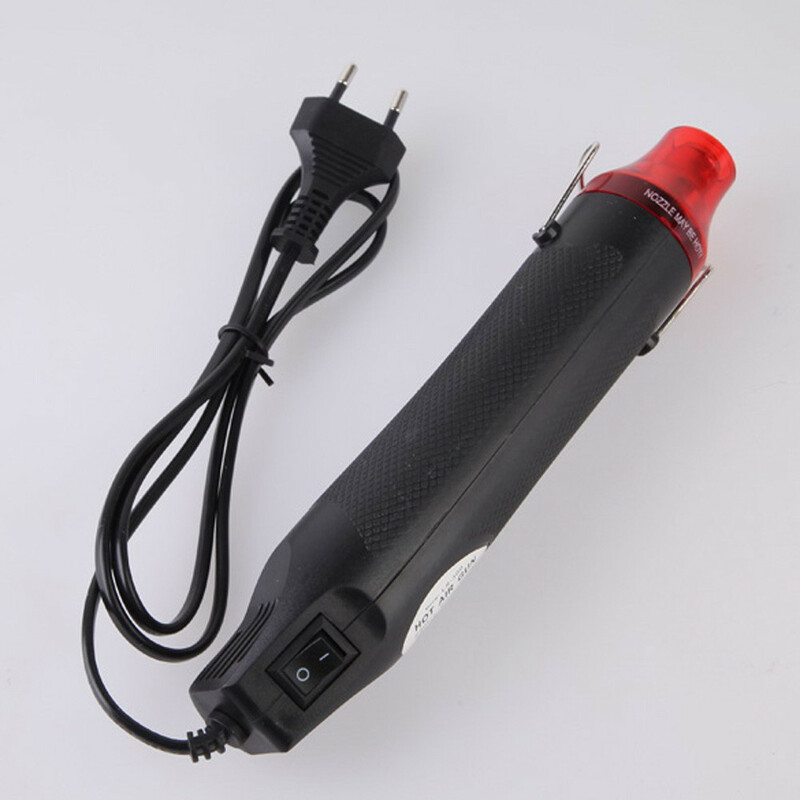 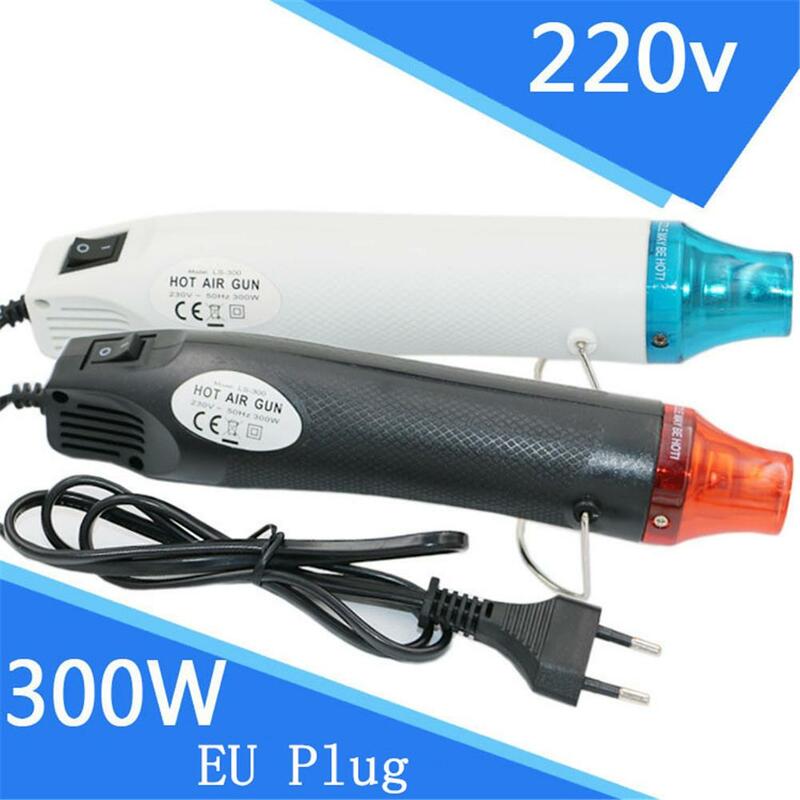 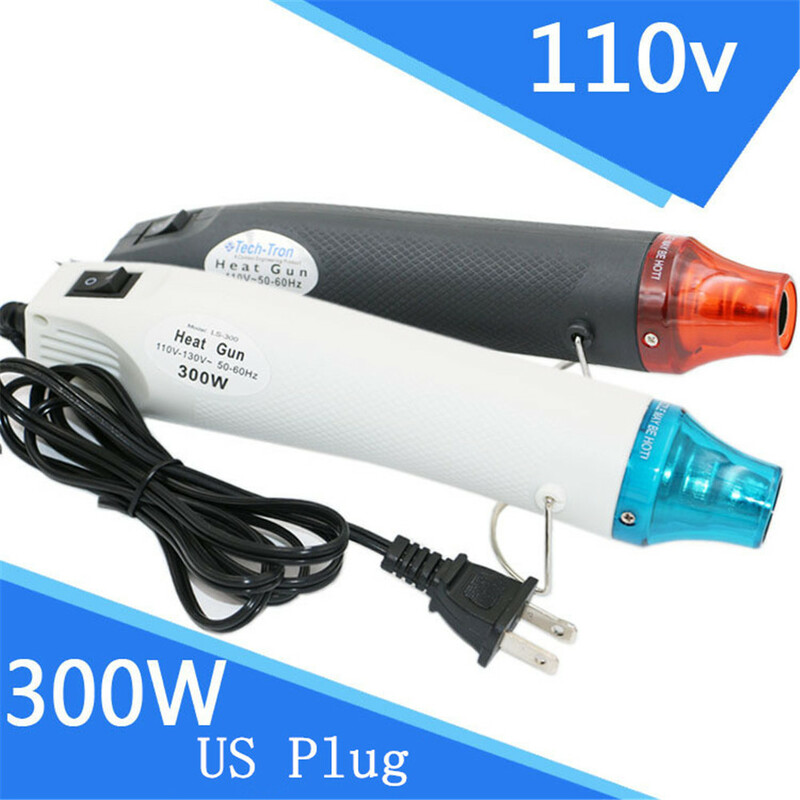 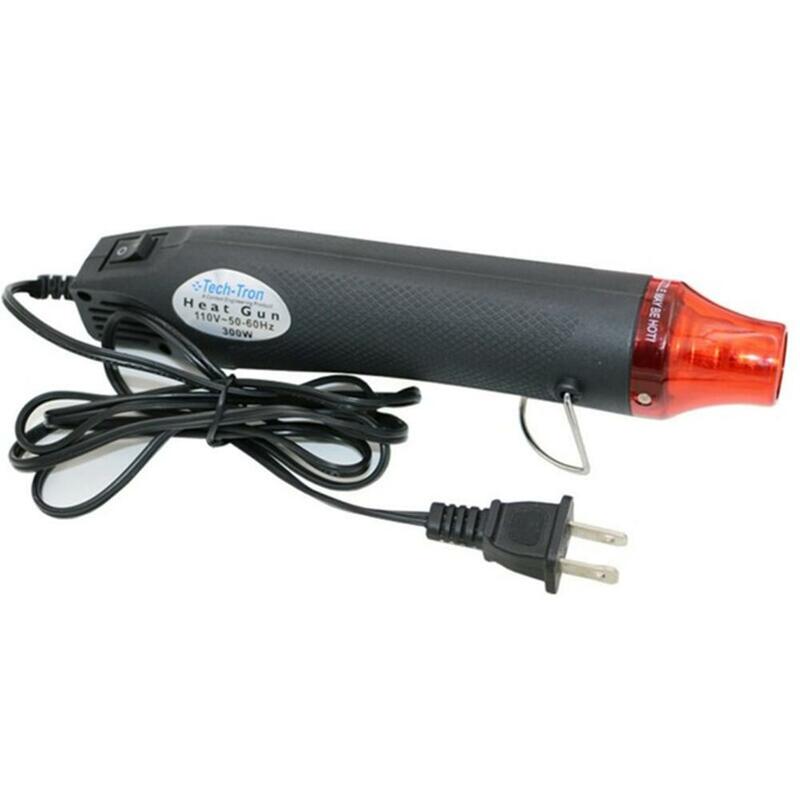 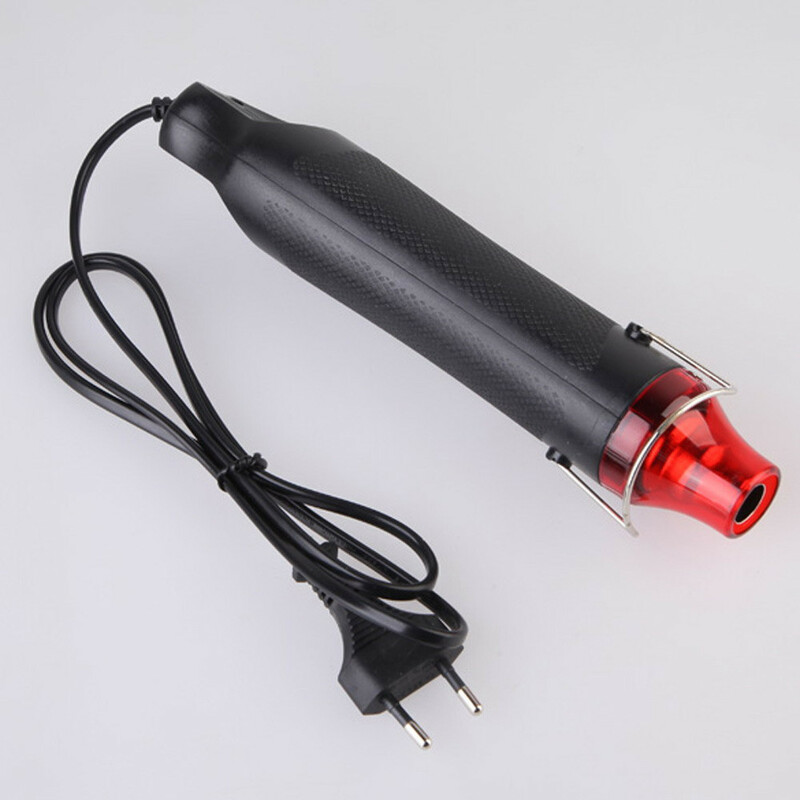 Mini handheld hot air gun, elegant, comfortable, power of 300 watts; highest temperature can reach 200 degrees. 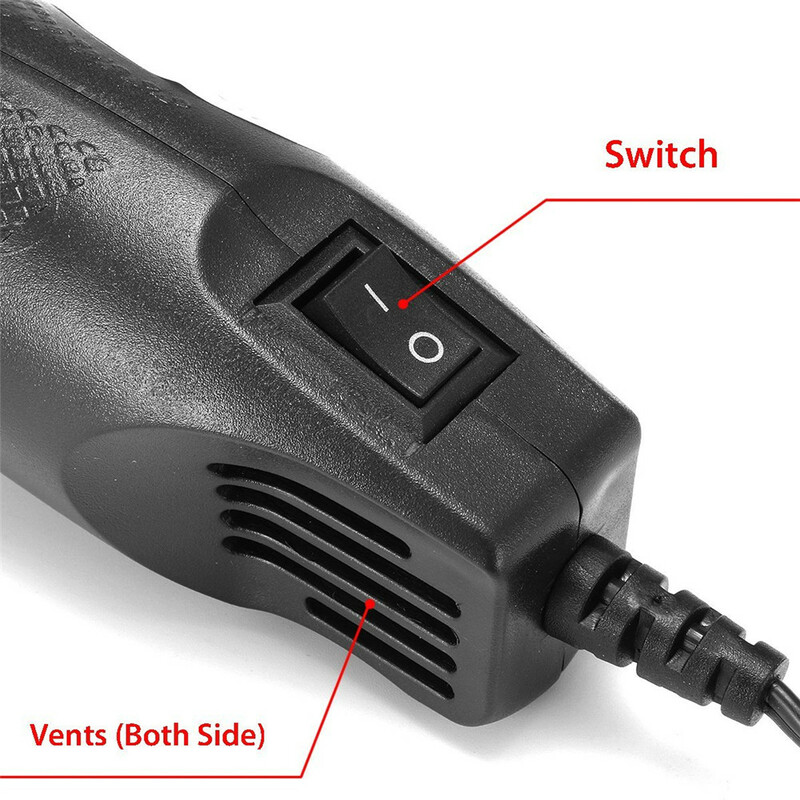 Ergonomic design with on/off switch and vents. 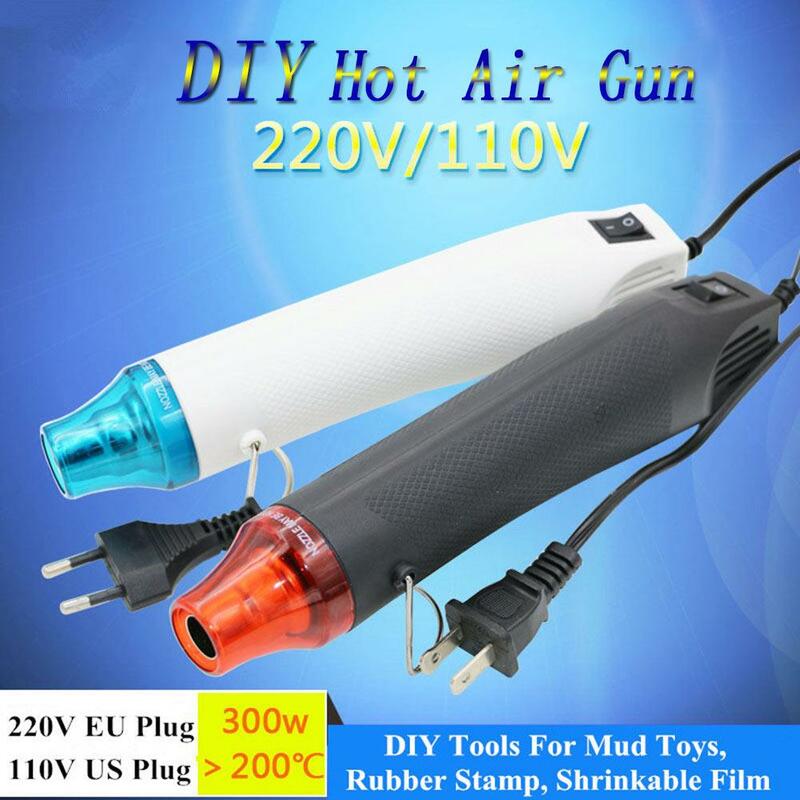 Adjustable wire stand for keeping gun stable and upright. 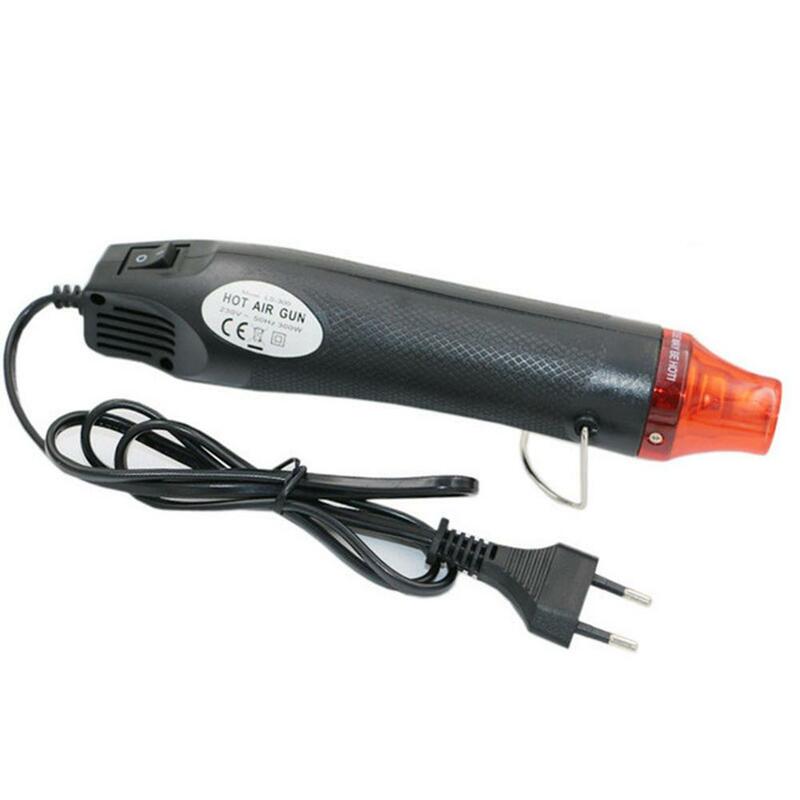 Keep 5-6cm distance between the gun and your work, heat your work at about 45°until completed. 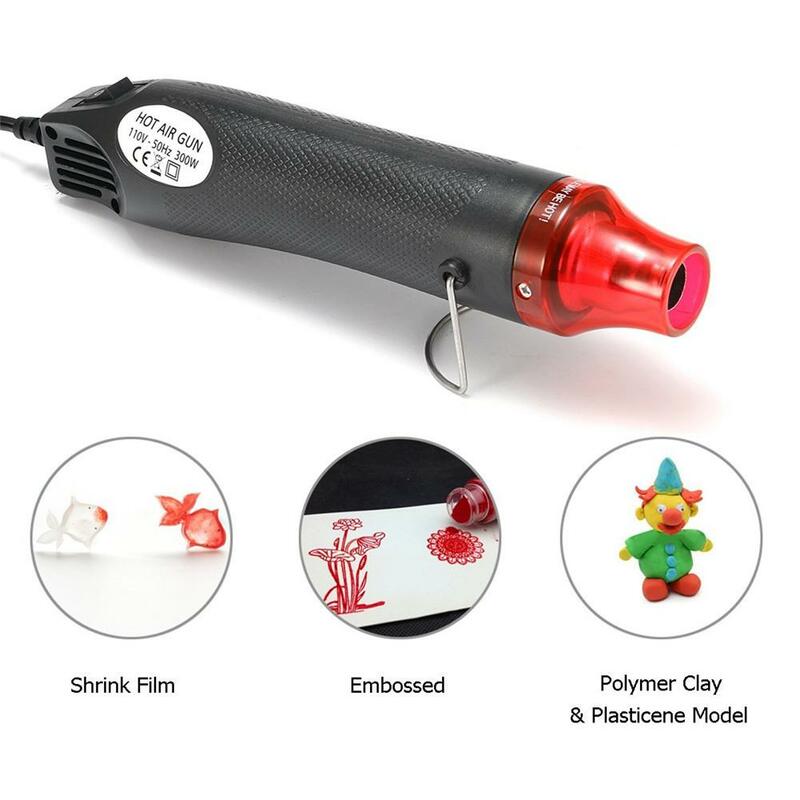 Great diy accessories for heating shrinkable film, mud toys, rubber stamp, convex powder, etc. 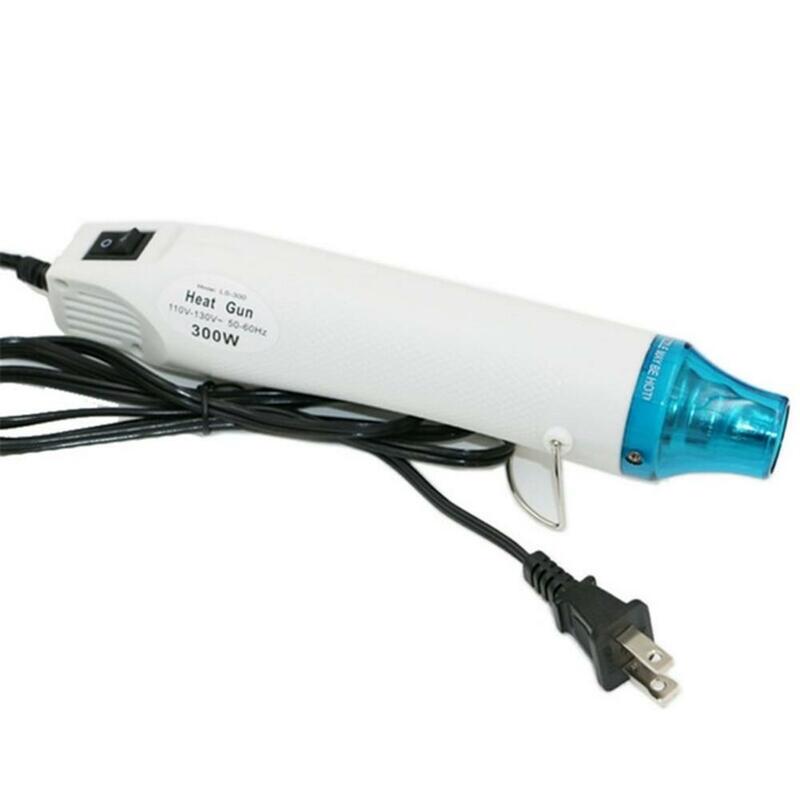 Caution with child ! 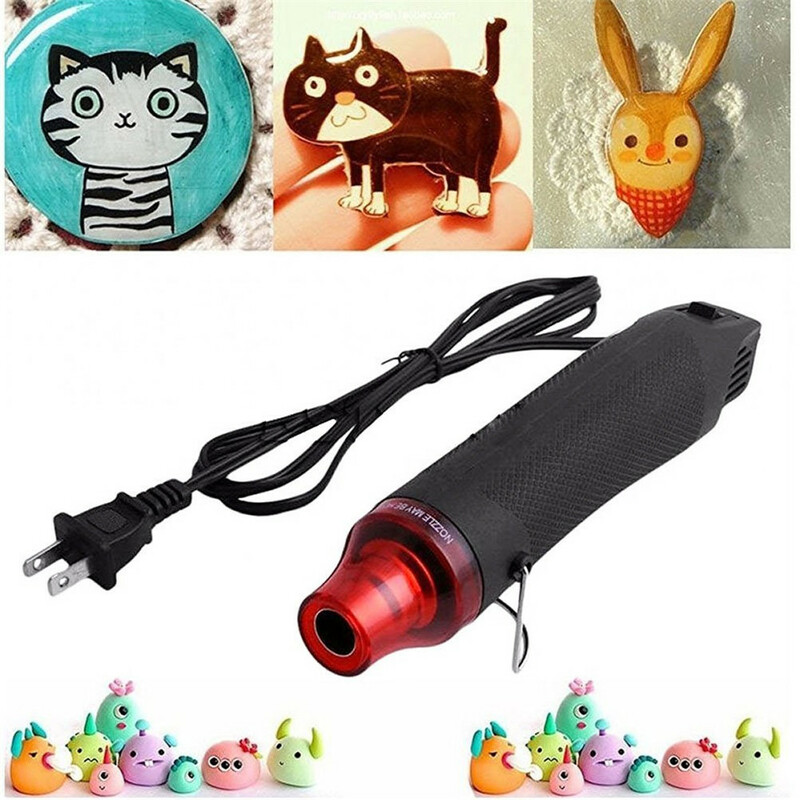 ! ! 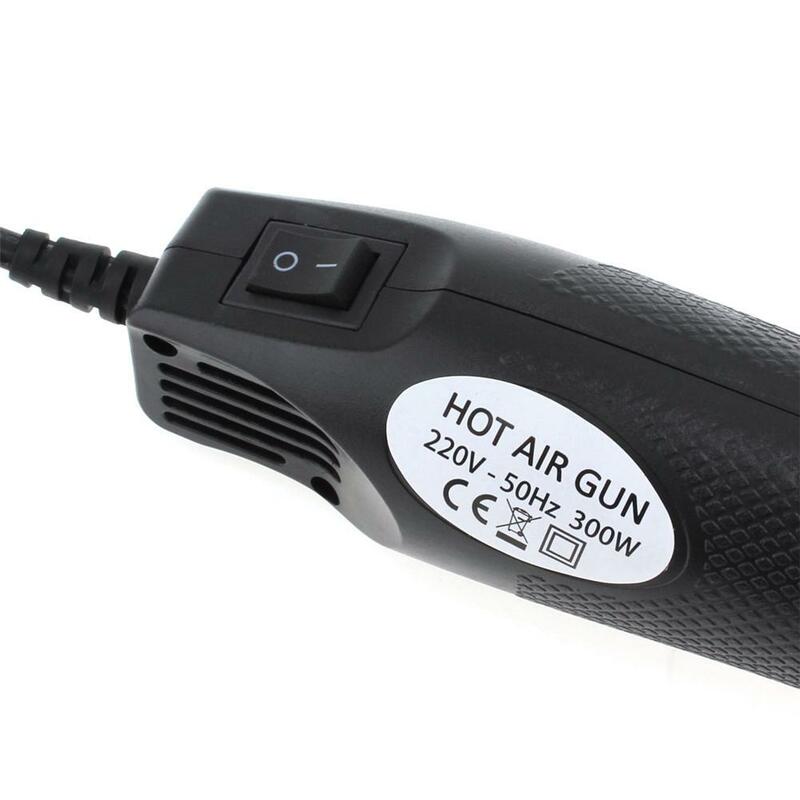 Please minor children in the safe use of hot air gun under the guidance of an adult to accompany! 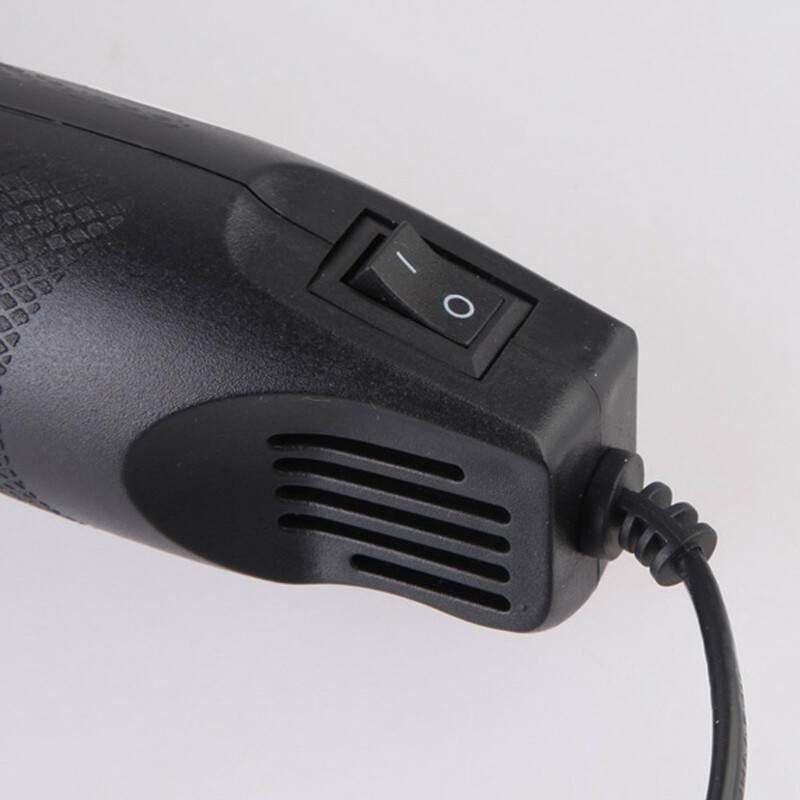 Boot time not too long, to avoid burn out the machine! 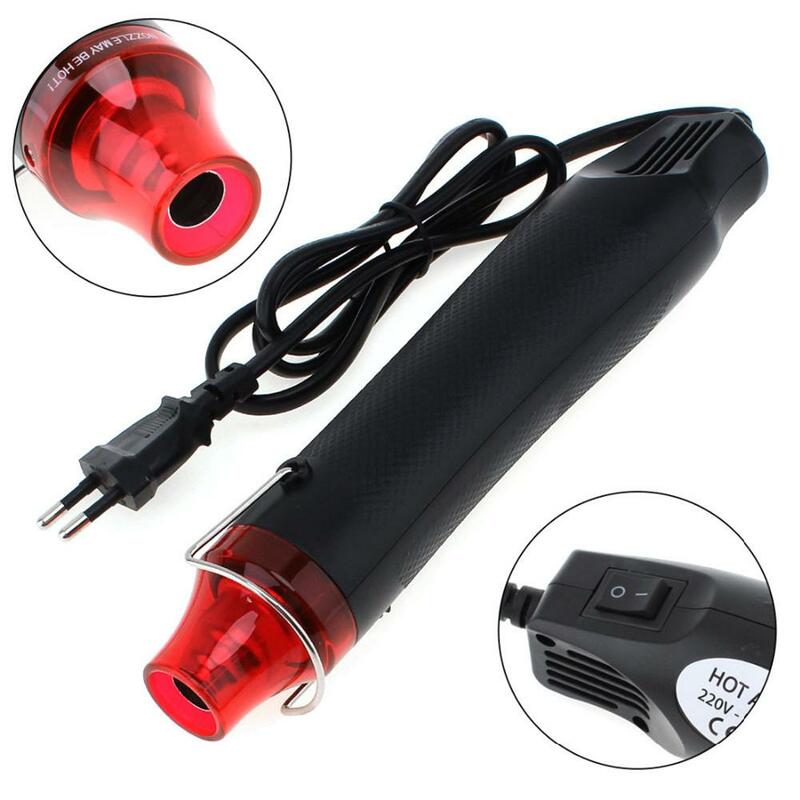 Do not continuously use more than 10 minutes to prevent overheated. 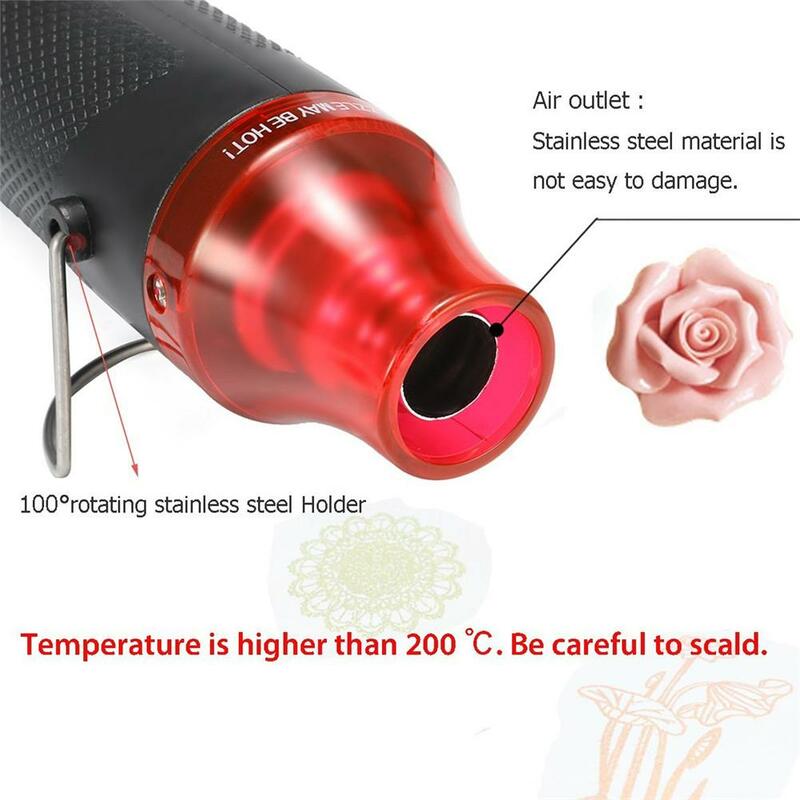 Do not touch the hot nozzle when using or just after use. 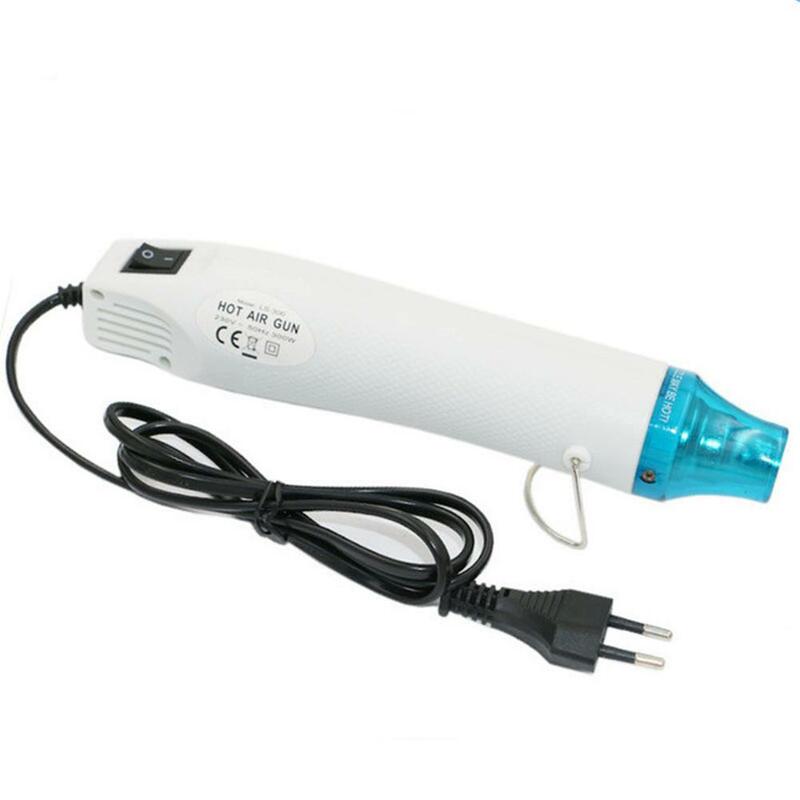 Temperature can not be adjusted, therefore do not blow your work at one position for a long time to prevent distortion.